Market at the Foodbank Winner! It's Friday, and time to pick a winner for my Market at the Foodbank ticket giveaway. Thank you to all that entered! I loved reading about what you do to give back to our community. We are fortunate that there are so many ways to get involved in Cleveland. Random.org selected...lucky #17--- Jacquie from Hey Cleveland! Congratulations to Jacquie, and I hope that you have a wonderful time at the event. Email me your contact information by Monday, April 1st or I'll select another winner. It's not too late to purchase tickets to the event, or to donate to their Harvest for Hunger Campaign. You can make a contribution online, grab a coupon as you check out at the local grocery store, host a food and funds drive, or volunteer your time. It all makes such a difference in the fight against hunger in our community. The dollars raised in each county, stay in each county. Do your part, and help them reach their goal of raising enough food and funds to provide 16 million meals in local hunger centers. Hunger is something that I take very seriously, because clearly I am not struggling with this. So, please think twice about contributing to the Campaign this year. For every $1 raised, the Cleveland Foodbank can provide enough food for 4 nutritious meals in a local hunger center. Cheers to the weekend, folks! Vote Today for CLE to Win! Who doesn't like to win? With March Madness upon us, it's a competitive time of year (go 'cuse!). 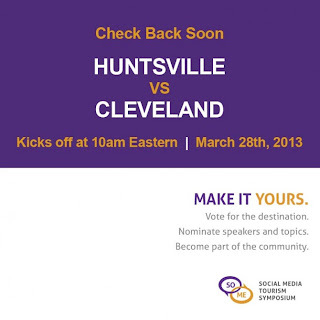 Today, Cleveland is competing in the Final Four to host the 2013 Social Media Tourism Symposium. We all know that our social media scene in the CLE is simply awesome and we can rally around anything that we set our minds to, so let's show Huntsville that we mean business. Voting kicks off at 10:00AM EST, and will close at 10:00PM. The Symposium's Mission: The symposium is a combination of destination marketing organizations, hotels, resorts, attractions and any other tourism related entities sharing ideas and learning more about how social media is affecting promotion within the travel industry. It would be very cool to win, and to host the conference here in Cleveland. Huntsville has had a strong showing in the other rounds, so let's come out in full force today! Click here to vote. If you want to rally with fellow Clevelanders today for some in-person fun, Positively Cleveland is hosting a happy hour/vote party from 5:30-7:30pm at Prosperity Social Club in Tremont. One of my favorite annual events is coming up on Sunday, April 14th. The Cleveland Foodbank is hosting their fundraiser, Market at the Foodbank, for the Harvest for Hunger Campaign. Formally called Market Under Glass, the event moved to the Foodbank's east-side facility last year, so that guests can see the full impact that their dollars are having on the community's fight against hunger. The impressive warehouse will showcase food and beverages from more than 50 vendors, including some of my favorites like AMP 150, Americano, Georgetown, Pearl of the Orient, Press Wine Bar, Strip Steakhouse, and Washington Place Bistro. Guests will wander throughout the facility, enjoying samples, live entertainment, local celebrity servers, and an auction and raffle full of fun prizes. Tickets are $85 each for general admission, or $175 for VIP (which gives you exclusive access to a pre-party with passed appetizers). For every $1 donated to Harvest for Hunger, the Foodbank can provide four meals in a local hunger center. This organization, and event, are near and dear to my heart. I am a former employee, and used to plan Market Under Glass. I've had the pleasure of attending as a guest for the past two years, and was looking forward to going again this year. Alas, I will be out of town celebrating my grandmother's 90th birthday. So, I'm sending a special guest blogger in my place, and she'll share her thoughts after the event. But here's the good news...the Cleveland Foodbank has provided me with two general admission passes to give away to one lucky reader! Leave me a comment below telling me what you do to give back to the community, and you'll be entered to win. Tweet the following: "I want to win tickets to #MarketatFB from @BiteBuff at www.bitebuff.com." You can tweet once a day until the giveaway closes, and make sure to leave a comment for each tweet. I'll select a winner, using random.org, on Friday, March 29th. Disclosure: I am a former employee of the Cleveland Foodbank. This does not affect my opinion of the organization or event. I was provided with two media passes, and two general admission passes to give away, in exchange for this post. One thing that I really enjoy about blogging is being able to share cool and interesting events with you, that you may have not heard of or attended before. 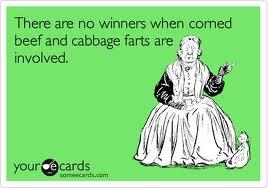 Like the Cleveland's Finest Hors d'Oeuvre Contest on Thursday, April 4th. The event is hosted by Our Lady of the Wayside, which provides residential, respite, transportation, and day programming for over 500 children and adults with developmental disabilities in our community. Their tagline--- "Embracing self-confidence, independence, and our community." The event will be held at the Terrace Club at Progressive Field from 6-9PM, with a lineup of some great chefs. They'll be competing for votes, and the title of "Finest Hors d'Oeuvre" will be awarded. A few of the featured restaurants are: Battery Park Wine Bar, Corleone's, John Q's, Parallax, Table 45, Chinato, L'Albatros, Cowell & Hubbard, and The Woods. I'm looking forward to trying samples from some restaurants that I've never been to, like: Carrie Cerino's, Garage Cookin', and The Clifton. Tickets are still available, for $80 each, and you can purchase them online here. With live music and celebrity hosts, it's bound to be a fun evening supporting a worthy cause. I'm looking forward to attending the event for the first time. My fellow food blogger, and friend, Crystal is hosting a giveaway for two tickets, so check out her post and enter to win. The deadline is Sunday, so hurry! Disclosure: Our Lady of the Wayside is supplying me with two media passes to attend the event, in exchange for this post. The opinions stated above are 100% my own, duh. Saturday night brought us a night out with "R's" family. Destination--- Strip Steakhouse in Avon. Gaining a reputation for having one of the best steaks in the Cleveland area, we were highly anticipating our second meal there. Located in the restored Ewers Barn in the Olde Avon Village plaza, it's difficult to see from the road and there's poor signage. But once you pull into the plaza, the building makes quite an impression. I think it's gorgeous, and I love some of the barn features inside as well. As with many steakhouses, the menu can be a bit pricey. Some of it is worth it, and other items are not. In my opinion, the soups and salads are reasonably priced. A few of the starters were high, including the two that we shared--- Lavender Scallops with pan seared scallops resting on a rosa lobster cream sauce infused with lavender essence. Three scallops for $14 is a tad pricey. This is my second time having them, and both experiences were the same--- incredibly salty and not worth the price tag. Our table also shared an order of the Sea Biscuit starter with miniature buttermilk biscuits drenched in Southern-style lobster sausage gravy with three blackened shrimp. Also for $14, this portion was larger, something unique, and quite rich and tasty. "R's" mom ordered the Catch of the Day, but the rest of us ordered a variety of steaks. Two of us ordered the 6 oz. prime cut Filet for $26 (myself included), two ordered the Boilermaker--- a 10 oz. center cut ribeye, sugar and spice rubbed, blackened in a cast iron skillet with a touch of Irish whiskey for $28, and "R's" brother went with the Cut of the Day. That happened to be a 24 oz. slab of meat on-bone that was served on a cutting board. It was a sight to see, but for a whopping $60 (price not disclosed) it was under seasoned and underwhelming. The Boilermaker was the one to be jealous over. It was a thick-cut with a great sear, and more flavor thanks to the seasonings. I had a bite of "R's", and I think that I would order it lightly-blackened like his sister-in-law did. The Filet was disappointing. They serve all of their steaks on a large white plate (which is helpful for adding side dishes), but it makes the smaller steaks look pathetic as they perch on this giant blank plate. It was also incredibly bland, and a thinner cut than I was anticipating. Each steak includes a specialty butter or dipping sauce (some are truly unique and delicious), but it just makes me think that they hide their meat behind the condiments. On their own, they are lacking flavor. Side dishes are not included, and the menu states that each will serve two. We've tried a variety of them, and they all easily serve more than two people. This time, "R" and I shared the Redskin Garlic Smashed Potatoes ($7) and Devonshire Spinach ($8). The potatoes were nothing special, and I'd probably opt for something else next time. But that spinach is to die for, and we've ordered it both times. Service was amazing. The pace was perfect, our water and wine glasses were never empty, and when "R's" medium-rare steak came out well-done--- it was immediately replaced and an offer for a glass of wine on-the-house was denied but appreciated. Our serve had a great sense of humor, and we really enjoyed him. Overall, I left with the same impression this time. Very cool space, a little pricey and should be reserved for special occasions or when someone else is picking up the tab, and there are some highs and lows on the menu. Online reservations can be made through OpenTable, which is always appreciated. Have you been? What's your favorite steakhouse in the area? Well, yesterday didn't turn out exactly as planned. "R" and I went out to dinner with his family to Strip on Saturday night (more on that this week), and went to bed slightly buzzed with no alarm set. Not a good recipe for getting up on St. Patrick's Day for a day of partying. Needless to say, when we woke up at 10:30AM, I quickly realized that I was going to be a party-pooper and didn't feel up to the downtown craziness of the day. So, we "celebrated" a little differently than planned, and the day turned out a little backwards. It did, however, start with Lucky Cafe's famous Corned Beef Hash special. This hearty meal is a great start to any splurge day. Then, there was a period of time where we did laundry, I clipped coupons for the first time (Do you do this? ), and ran some errands. Pretty boring, and I was feeling particularly lame. I was able to talk "R" into going to see a movie, so we headed to Valley View to catch an evening showing of Oz The Great and Powerful. I enjoyed it! Our evening started to pick up from there, with a stop at The Oak Barrel for a craft beer, and then a stop at The Winking Lizard for a bite to eat and another beer. Certainly not the rowdy St. Patrick's Day that we had planned. How about you? Do you head downtown with the crowds, or avoid it at all costs? Either way, I think a lot of people out there are hating this Monday. The weather doesn't help. Where's spring? Cleveland is gearing up for a wild and busy St. Patrick's Day weekend. I thought that I'd give you a few festivities to choose from. - Big Bad Boxty Contest and Party at Mavis Winkles in Independence. This weekend-long celebration will make anyone feel Irish with "authentic" fare and grog. The big event takes place on Saturday, with kegs and eggs, contests, traditional Irish foods, and live music. Also, potential Big Bad Boxty Contest competitors have been trying to qualify for the showdown by participating in wing eating contests all week. Now, the contestants will face off in the Big Bad Boxty Contest by eating their special "gastro gut buster" platter. It should be a sight to see. Also, they are running shuttles to and from downtown, which is awesome. - Griller's Pub in Parma will open at 7AM with kegs and eggs, corned beef specials, and breakfast all day long. A live band will join at 7PM to keep the party going. - Black Dog Kitchen & Bar in Downtown Cleveland will open at 7AM with kegs and eggs, and beer/food specials running all day long. Including green beer, for those of you that seek it out. - Lucky's Cafe in Tremont will be running a special on corned beef dishes this weekend. They'll feature their famous Reuben, corned beef hash (one of my favorite things there), corned beef balls appetizer, and a corned beef omelet. Order two or more corned beef dishes, and receive one dollar off your brunch bill. - Looking for an earlier start? Head to Flannery's Pub on the corner of East 4th and Prospect. "R" always demands that we start the day there. They open their doors at 6AM with breakfast burritos. - Great Lakes Brewing is not usually open on Sundays, but they will be opening their doors and celebrating with Irish-inspired food and beers, Irish bands, and shuttles to downtown (running two hours before and after the parade) all beginning at 11AM. - Claddagh Irish Pub in Legacy Village was setting up for St. Patrick's Day yesterday when we were there shopping, and it looks like they throw one heck of a party. Outside tents with heaters, so at least you can pretend that it won't be so cold on Sunday! They open at 8AM, with all kinds of live music and specials, and won't close down the party until 2AM. This is only a tiny sampling of what will be going on this weekend. Do you "celebrate", and where do you go out? We always head downtown, but Kamm's Corners sounds like it would be fun too. Do you watch the parade? I've been downtown three times on this holiday, without once seeing it. Whoops! Whatever you decide to do, stay safe! Happy St. Patrick's Day this weekend. The day that we all turn a wee bit Irish. It's a Big Day in the Bite Buff World! 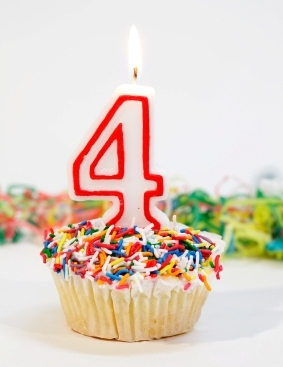 Today marks a big day for Bite Buff...this little 'ole blog is turning FOUR today. Happy Blogiversary to me! In honor of this special day, I'm hosting a giveaway that helps promote my passion for dining locally. Leave me a comment on this post, and you'll be entered to win a $50 Cleveland Independents gift card (valid at any member restaurant). Enjoy a night out, on me! What an amazing ride these four years have been, and I'm looking forward to many more. 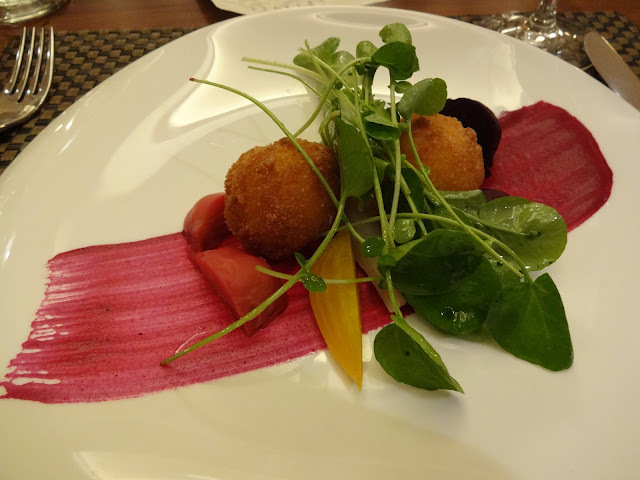 I was just having a discussion last night about how there seems to be a lot of exciting news in the Cleveland culinary world right now, so I thought that I would share some with you. - Two of my favorite CLE chefs are partnering up to open a new restaurant, Cork & Cleaver Social Kitchen in Broadview Heights. Brian Okin (formally of Verve, Fountain, and Luxe) and Adam Bostwick (formally of Melange and Hodge's) are both very talented, and I can't wait to see what they stir up at this new spot together. They plan to open in April. - Dinner in the Dark will head to Cork & Cleaver on Monday, April 15th. These events are always fantastic, and worth every penny. Diners are left "in the dark" about what six chefs will be in the kitchen, and what the six-course menu will include...but you're always in for a treat, and all proceeds benefit a different local charity each month. Consider attending next month's event, and you'll also get to check out Cork & Cleaver! 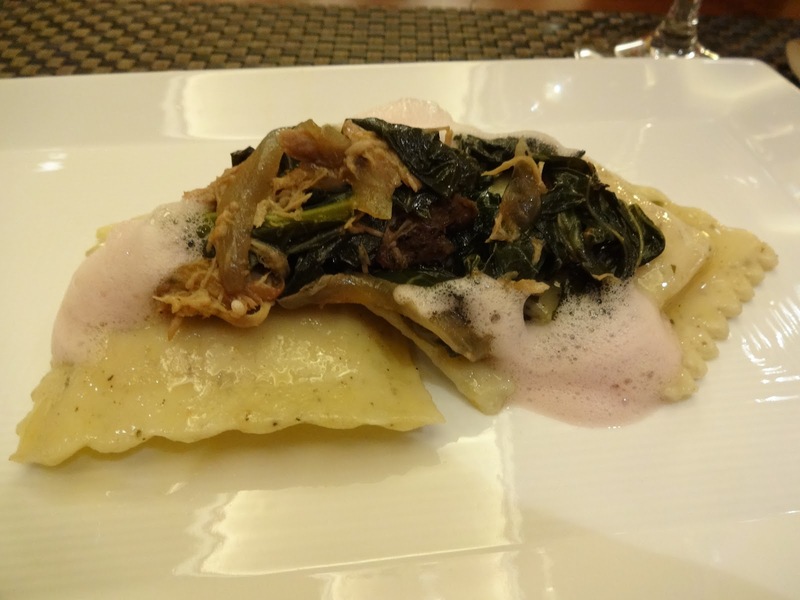 - A new culinary tour is hitting the streets of Cleveland, starting this month--- Dishcrawl. Each event will highlight a different neighborhood, and attendees will enjoy four tastings at four different restaurants for just $45. The first event is on April 2nd, and the group will be touring the Detroit Shoreway. Tickets are still available. - The Food Network is hosting an online Casting Call for the Akron area for a new show called "Food Court Wars". Two teams will be selected to battle head-to-head for a chance to win restaurant space FREE for a year in an Ohio mall. The show is hosted by Tyler Florence, and you can apply online by March 27th. - I'm a big fan of Delivermefood.com when we don't feel like cooking or going out for dinner. The service allows you to place an online order, they'll go and pick it up from some of our favorite local restaurants, and then ta-da--- it arrives at your house with ease. Well, a new online service has popped up--- BringMeThat.com. Right now, a quick search on their website resulted in 14 restaurant options (most of them being pizza) near my address, but I bet that this site will take off. Check them out. - Another new restaurant is set to open very shortly--- Toast wine bar in the Gordon Square Arts District. They had a very successful pop-up preview at Flying Fig earlier this month. So keep your eyes peeled on their 1365 West 65th Street location. - Lastly, Chef Chris Hodgson from Hodge's in downtown Cleveland, and food truck fame, is competing for fan votes in Food & Wine Magazine's "The People's Best New Chef" online poll. So head on over to the site, and show some CLE pride. Personally, I think any national recognition for our culinary scene in this city is a great thing. Good luck, Chef! Good things are happening in Cleveland, as usual. This city continues to re-energize my passion for it, and for sharing my experiences and news through this blog. So, thanks for reading. Cheers to another four! Disclosure: I will be personally purchasing the giveaway gift card. I was asked to promote the Dishcrawl, Food Court Wars casting, and BringMeThat service. The rest, I just wanted to share. 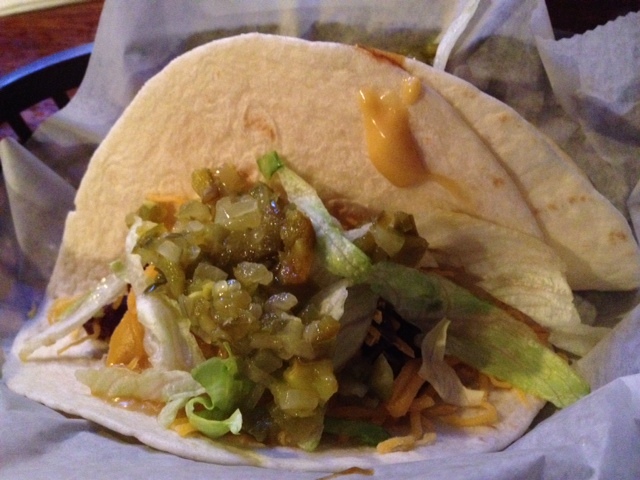 It's the first Taco Tuesday blog post of 2013, hard to believe. But the quest for good tacos around town continues, and last week that led "R" and I to Hoopples. They had three choices for standard tacos--- chicken, ground beef, and black bean. The deal is two tacos for $3. Not too shabby, and they were perfectly fine for some good, cheap tacos. "R" and I both liked the black bean taco a little more than the other two. Hot sauce was available on the table, which was appreciated. Some salsa and sour cream could have been worthwhile additions to the tacos. Hoopples also offered one specialty taco, which included two tacos for $6. (Dining Deals Alert!) It was a smoked sausage taco, with a little kick to the pickle and jalapeno relish. Overall, they were solid tacos. They'd fall somewhere between Lincoln Park Pub's and Sachsenheim Hall, in my opinion. On the corner of Columbus and Franklin, free parking was available on the street, or in a small lot across the street. Tucked behind some of the gorgeous bridges headed over from the west bank of the flats, the views of downtown Cleveland were some of the best that I've seen! This bar is a great hole-in-the-wall gem. I just wish that the beer list was a little more craft beer-friendly. I stuck with water. Stay tuned tomorrow, readers...it's a big day for the blog!!! What an amazing weekend in Cleveland! "R" and I had no plans, on purpose (I'm not very good at that), and we took full advantage of the nice weather. Saturday, we found ourselves in North Olmsted running errands around lunchtime. We were headed to Washington Place Bistro for dinner that night, so I wanted something light for lunch. 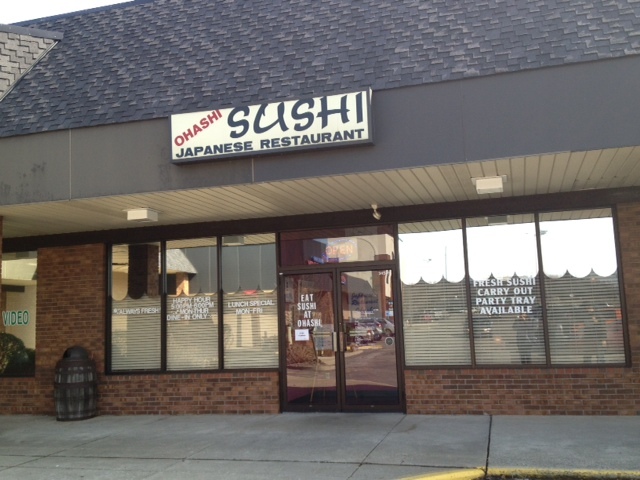 Ohashi Sushi on Lorain Road immediately came to mind. 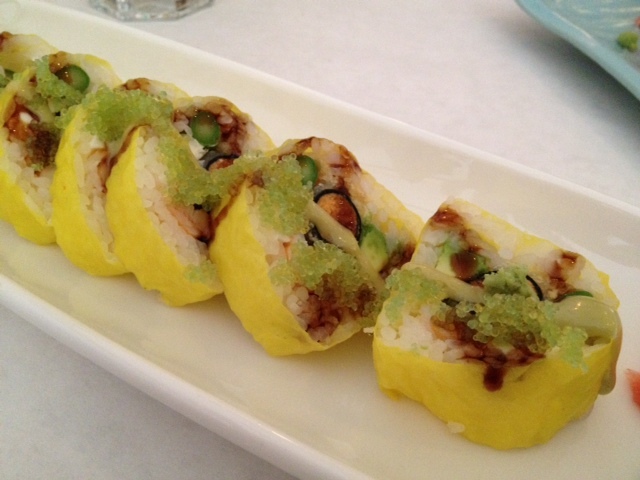 It's on my 2013 "To Dine" list, and sushi sounded great. Located in the strip of businesses tucked behind Fat Heads, parking was free and easy to find in the large parking lot. It is a small-ish place, with about 15 tables. Only two other tables of diners were there when we arrived, so service was quick and attentive. Tucked inside of the standard menu was a sushi checklist, which made ordering super easy. Each roll provided a description of its contents, and so many of their House Special Rolls sounded great. "R" and I decided to share three House Special Rolls (cut- 8 small pieces each). Pictured above (left to right) is: Fire Mountain Roll with spicy crab topped with spicy tuna, spicy sauce, and crunch batter ($11.50); Crunch Munch Roll with spicy crab topped with shrimp, crunch, and wasabi sauce ($10.50); and Mustard Roll with white tuna, cucumber, and topped with tuna and wasabi sauce ($11). The wasabi sauce was killer on them; I loved it! So many rolls also had "crunch" by including tempura flakes, which is a favorite of mine. "R" also ordered an additional roll for himself from the Chef's Special Rolls section--- Kanpai with fried spicy tuna, cream cheese, shrimp, avocado, and asparagus, topped with eel sauce, wasabi mayo, and wasabi tobiko, and rolled with mame nori ($13). Overall, the fish tasted fresh and I liked their roll combinations. However, it was a really expensive sushi lunch for what we received. 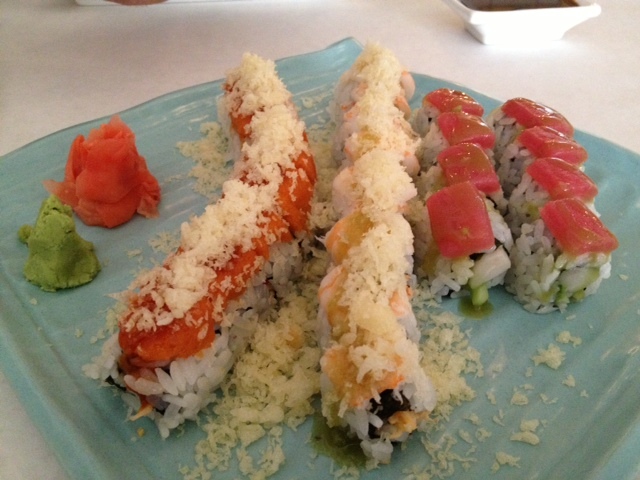 The three House Special Rolls were very small (which was great for lunch, but not for the price). With prices varying from $10 - $13.50, I expected them all to be the size of the Kanpai roll from the Chef's Special Rolls that "R" had. They were more like the traditional hand rolls from the basic section of any sushi menu. Prices should have ranged more like $5 - $8. This opinion is just based on my experience at other local sushi restaurants. If the prices had been a tad lower, I wouldn't have thought twice about it. So, we enjoyed the sushi and our waitress was simply charming. However, I think the prices are too high for what you receive, and I personally enjoy the Specialty Rolls at Mizu Sushi in Parma more. For affordable sushi on the west side, I'll stick to Mizu. 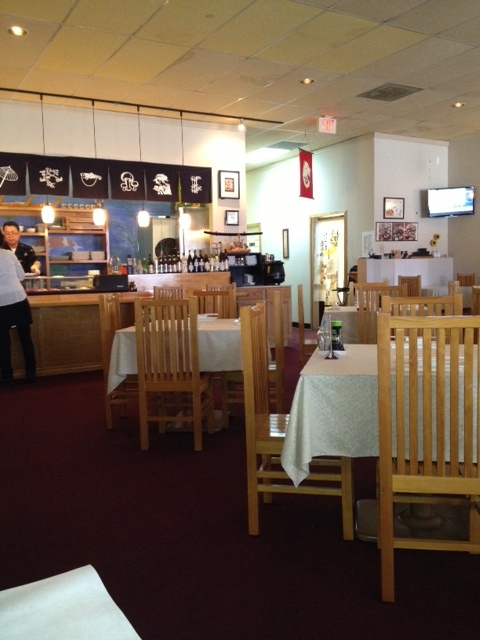 Also, their menu is limited to just sushi, sashimi, and only a couple of appetizers and teriyaki/noodle dishes. But it was a fun Saturday excursion on a beautiful day in Cleveland! Looking for a good fish fry this Friday? Head on over to The Public House in West Park. This Kamm's Corners eatery is known for its fish fry, so get there early. Even at 5:30PM last Friday, we were looking at a 45 minute wait for a table. However, that Lake Erie perch fish fry was totally worth it. Personally, perch is my favorite and I'll choose that any day over haddock or cod. For $14, the Perch Dinner included six large fillets of lightly-breaded perch, a thick slice of fresh Italian bread or Irish soda bread, coleslaw (a little too much mayo for my taste, but great crunch to it), and a generous side of French fries. For just $2.99, you can substitute two locally produced potato and cheese pierogies as your side dish. "R" and I both opted for that swap. The place was packed on Friday night, and service was a little off. I'm sure that they are just swamped during Lent. Beware of the parking situation. The lot is small, and shared with Panini's next door. I've never been to a fish fry at a local church around Cleveland. So many of them offer a fish fry on Fridays this time of year. Do you have a favorite fish fry location? Press Wine Bar has made quite a splash in the Tremont neighborhood since its opening, and this weekend was no different. Why? They opened for brunch for the first time. One thing that I immediately loved about it...open on Saturdays! Finding Saturday brunch spots is not always easy, so I appreciate that they will be offering their brunch menu all weekend long. Second reason to love their brunch...first champagne bar in Cleveland, where you can build your own mimosas. Now, I already need to plan a return visit, because I didn't take advantage of the champagne bar. I just couldn't resist the rest of their tempting cocktails on the menu. There were several specialty mimosas, and a pretty lengthy list of Bloody Mary drinks. I went with the Bacon and Eggs with Buckeye vodka, spicy bloody mary mix and garnished with peppered bacon and a deviled egg ($8). So, so, so delicious. Although not as spicy as I had anticipated, or hoped. The food menu had many tempting items as well, but I immediately honed in on the Crab Benedict with a toasted English muffin, seared crab cake, poached eggs, sea salt, and sriracha hollandaise ($12.50). Other than having absolutely no trace of the sriracha in the sauce, I truly loved this dish and would have a hard time not ordering it again. The poached eggs were cooked perfectly, and it had a ton of crabby flavor. Maybe a little more of a sear on the crab cakes could kick it up just a notch. Now, when we arrived shortly after 11:00AM, there was no wait for a table. But we snagged one of the last ones, and I heard that later in the day the wait was up to 1 hour and 45 minutes. No brunch is worth that wait when there are so many other great options in the area. I also have to say that I've never been overly impressed with the service here (four visits total now), but this experience was particularly bad. Hopefully, they just weren't prepared for the popularity of their first brunch weekend. I was already convinced that this restaurant was a great addition to the Tremont neighborhood, but now they've gone above and beyond in my opinion. Offering brunch on both days, a champagne bar, and an appealing menu...yes, please! I'll be back, and soon. I'm sure that you're sick of hearing about my birthday, but I had one last celebration to do...a fabulous dinner party with my Cleveland friends. I've had it in my head for months that this is how I wanted to ring in the new decade. Good friends and good food, that's the best way that I know how to celebrate any occasion. The location was AMP 150. 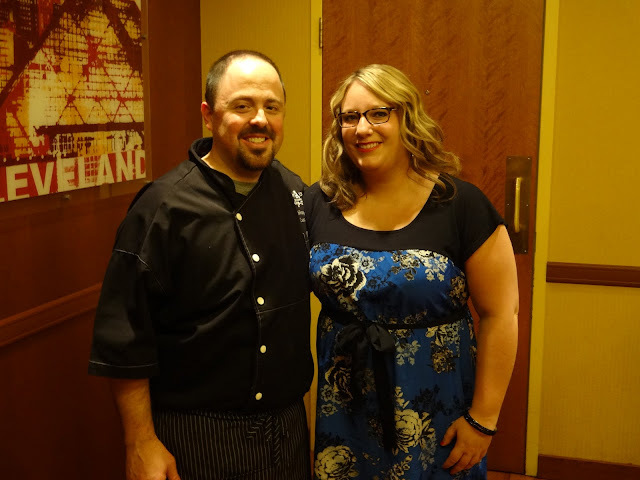 I selected the restaurant because I knew that they had a private room large enough to host my group of 26 friends (many of which I met through this blog/Twitter), and one of my favorite chefs in Cleveland just happens to be the Executive Chef there--- Jeff Jarrett. I love his approach to food, and I knew that he'd put together a killer custom menu for our dinner. Of course, he did not disappoint! First course: Pork Belly with vanilla parsnip puree and apple kimchee. This was probably my favorite course of the evening, but that's not saying much because all four were simply wonderful. Second course: Butternut Squash Ravioli with duck confit, mustard greens, and port bubbles. The port bubbles gave such a great pop of sweetness to this earthy dish. Third course: Beet and Goat Cheese Salad with watercress. Isn't the presentation just gorgeous? It almost looked too pretty to eat. The unexpected fried balls of goat cheese were awesome! A beet and goat cheese salad is one of my favorite types of salad. Fourth course: Braised Short Rib with a potato and onion hash. The meat was so tender that it just fell right apart when you cut into it with your fork. 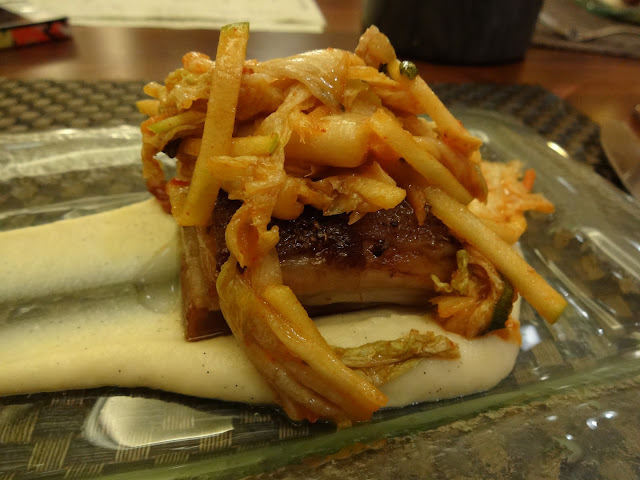 This dish inspired many of us to try cooking short ribs at home! 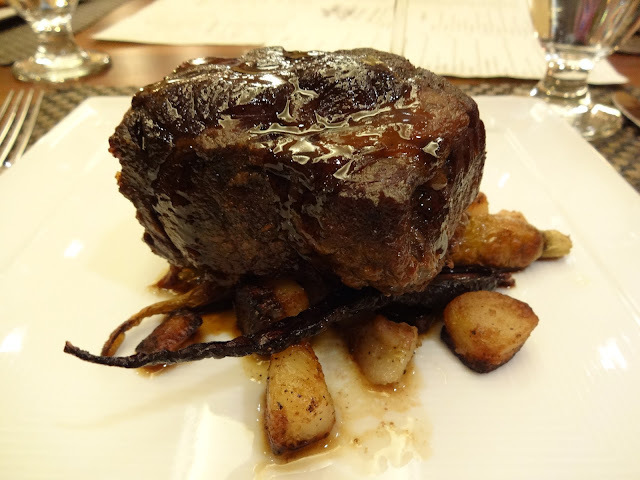 The chef's tip---Get a good sear in the pan, and then braise them low and slow at 325 degrees for 2.5-3 hours. As you know, I'm not a sweets kinda gal. So, I wanted four savory courses from Chef Jarrett. But, "R" has the biggest sweet tooth that I know, so he surprised me with a cake from Heinen's for the party. Don't be fooled by the pretty candles. They were the re-lighting kind, oh joy. Once I finally extinguished them all, we enjoyed a piece of deliciously moist chocolate cake. They have a great frosting that is nice and light. A great end to the meal, and I'm sure that everyone appreciated "R's" decision. I can't thank AMP 150 and Chef Jeff enough for the memorable experience on Saturday night. The food was outstanding, the service was exceptional, and I had such a great time celebrating with the people that help make Cleveland "home." Thank you to everyone that was able to attend! I promise that this is the last birthday post. 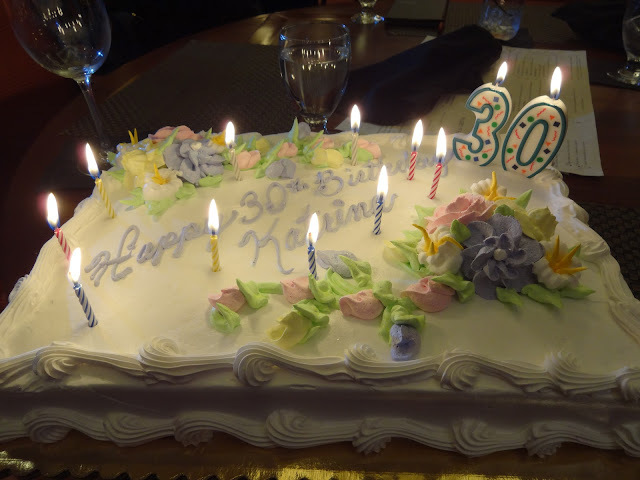 Hello, 30! You look kinda good on me.